The term black hat and white hat SEO comes from the Saturday morning cinema concept where the good guys wear white hats and the bad guys wear black hats. SEO is the term used to describe how webmasters make their sites more visible to search engines like Google, Yahoo or Bing. Black hat techniques use naughty methods like keyword stuffing and link farms to appear to be more popular than they really are, making them rank higher in internet searches. White hat SEO follows the rules and makes the whole system more fair and organic, with rankings based on true popularity and well written content. Google created the Panda and Penguin algorithms to identify where black hat SEO occurs and to penalize those sites accordingly. Actually, the Google algorithms have nothing to do with this story. 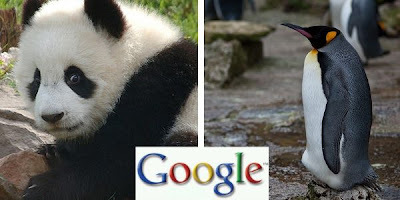 This is about the challenge thrown down by the pandas to finally decide which species is cutest. 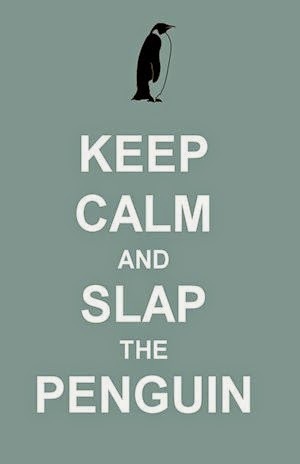 The Pandas have already started a rival website in an attempt to draw penguin fans away. "Hello, my name is Chu-Mai Wang and I represent the Panda challengers. My argument is simple. Pandas are incredibly cute. They look cute, they do cute things, basically they just ooze cute. A vote for Pandas is a vote for common sense. 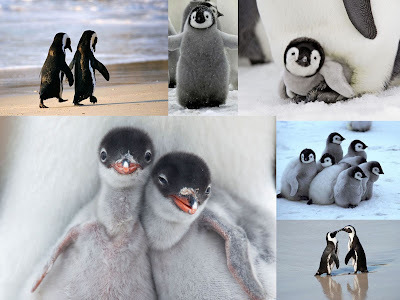 I do concede that baby penguins are cute, with their stubby wings and grey downy feathers, but they grow up and their cuteness fades. Pandas are cute for a lifetime. 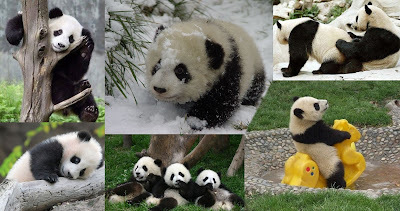 Check out the Panda Portfolio below. Vote Panda!" "Hey, this is Rico and I speak for my fellow penguins. Pandas are attention whores. They play up for the camera by doing stupid things like somersaults and riding yellow toy horses. When humans aren't watching they smoke, drink and don't wipe after taking a crap. They are also unable to procreate 98% of the time. And another thing, they are not real bears, they are actually related to skunks. Unless you want a fake champion of cute then Vote Penguin!" There are the arguments, now it is up to you to decide. Register your vote in the poll below.